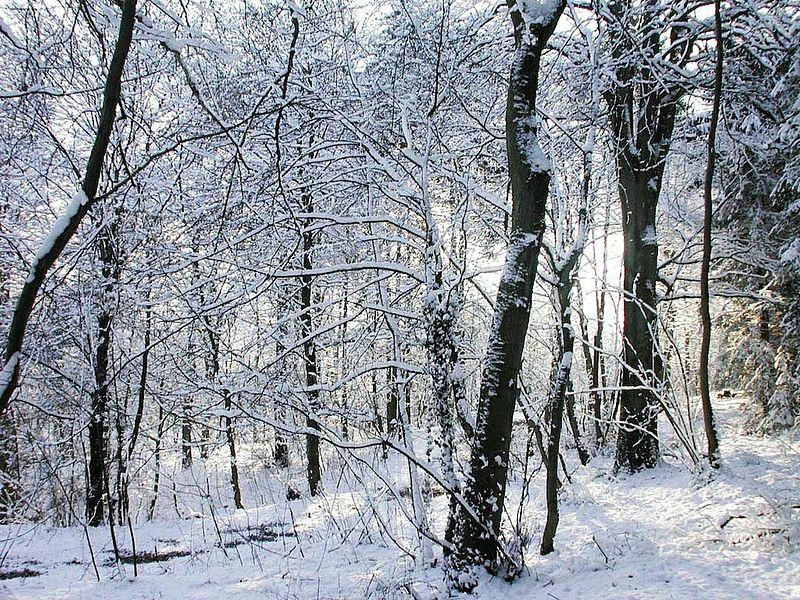 I have seen pictures before of monks meditating in snowy forests like the one above. I have always wondered, how could they concentrate in that cold? Are they going so far into their minds that they are no longer aware of their bodily sensations? Today I went for a walk in the woods by Lake Washington. Although spring is beginning, it was still fairly cold. And, having just returned from Hawai’i, I am acutely aware of and appreciative of this cold. I found a bench along one of the trails and decided to sit there for a while and meditate. At first I was hot from walking up and down the steep paths that cut through the wooded hillside overlooking the lake. I unzipped my jacket and sat down on the bench. As my awareness slowed down from hiking-mode, I became more aware of my body: my breath, which was heavy at first, smoothed out as my body adjusted to being still, and the heat that had accumulated inside my jacket started to seep out. Soon I felt comfortable, as if I were sitting inside. Then, gradually, I started to get colder. At a certain point, it occurred to me that I ought to zip up my jacket. I had been meditating for about 20 minutes though, and I didn’t want to break my concentration by opening my eyes and moving around. Instead, I took it as an opportunity to really feel the cold. After all, it’s been about a year since my body had felt temperatures like this. The more I focused on the feeling of cold, the less I felt the impulse to zip up my jacket. In fact, I realized I really wasn’t uncomfortable at all, even though I was quite cold. With each breath in I felt and tasted the cool, damp air, the verdant smell of springtime in the Pacific Northwest. What do we feel when we say we’re cold? Usually in this situation, I would think to myself, “all I feel is cold!” I would be so focused on being cold, I wouldn’t be able to think about anything else. Is there a difference between “being cold” and feeling the cold? My first impulse was to put on my jacket, to think about what I could do to not be cold anymore. I wasn’t thinking so much about actually feeling the cold so much as getting out of the cold, of stopping the cold. One aspect of my meditation is cultivating a non-judgmental mindset. Seeing the world, experiencing the world for what it is outside of what I want it to be. My first impulse was to judge the cold: this is uncomfortable, this is unpleasant, this needs to be changed, this ought to be something other than what it is right now. Being out in the cold for too long can hurt you, and you certainly shouldn’t push it. But what about being in the cold for five minutes? Or even ten? It may affect your mind, even very strongly, but how does it affect your body?